Danielle Caron currently works and lives in the Eastern Townships, Quebec, Canada. 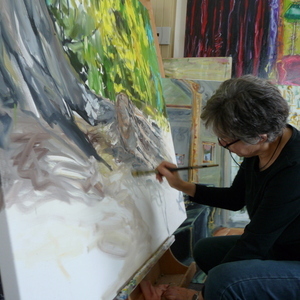 Over the years, her work has evolved from abstract to representational, but her underlying motivation or intent has never changed: use painting as a means to be in the moment and enjoy the silence that sets in while creating. She sees painting as an exercise to go beyond all layers of fear and hope that prevent pure and free creation.